This statistic represents the number of fatal vehicle crashes in the United States from 1993 through 2016. In 2015, 32,539 vehicle crashes were classified as fatal, which was about 0.5 percent of all vehicle crashes in the United States. 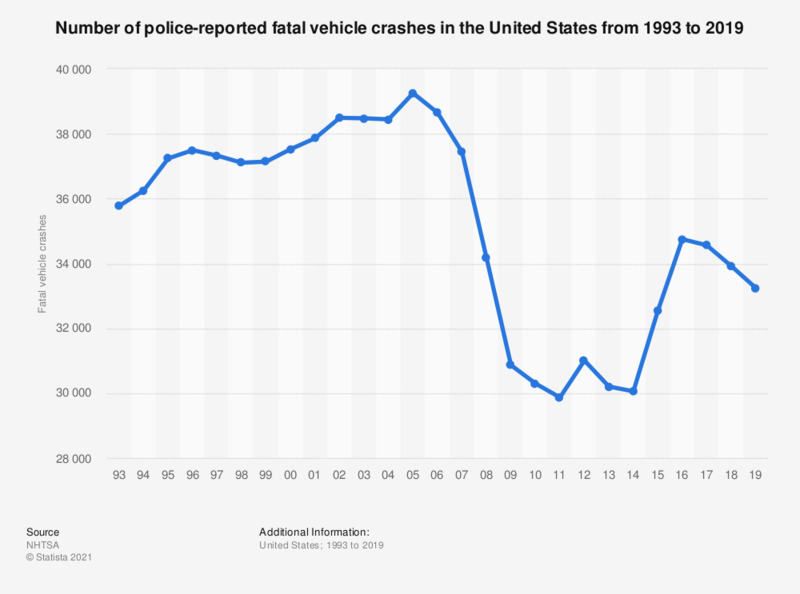 Statistics on "Road accidents in the U.S."